With 5G's popularity solidifying it as the future of the tech industry, we're bringing you three of the best 5G stocks to buy for massive profits. The technology's popularity isn't without merit. 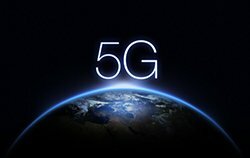 Many see 5G to be as important as the original personal computers and even the dawn of the internet. Early investors who jumped in on desktops and the worldwide Internet have now built massive fortunes. And 5G could be your ticket to the same level of incredible wealth. Beyond that, the entire tech industry stands to benefit from the incredible speeds of 5G. But it's not just about faster connections. With access to real-time data, self-driving cars will become a standard. And 5G will provide the fast, constant connection they will need to operate and communicate in real time. Healthcare applications will also reap the advantages of 5G. Let's say medical professionals want to monitor our health. A tiny device could be ingested and send out alerts to them in real time as well. 5G will transform how businesses operate. And companies' profits could skyrocket as a result. Of course, bigger profits mean higher stock prices – setting 5G investors up to become the next line of millionaires. Fortunately, our Money Morning Stock VQScore™ system has picked out three stocks that stand to make huge gains. Get in on the action with our best 5G stocks below…. 5 G Technology is heating up as a future necessity.